For decades, getting a high-fidelity headphone experience meant tethering passive audiophile headphones to a bulky outboard amp. Not anymore. 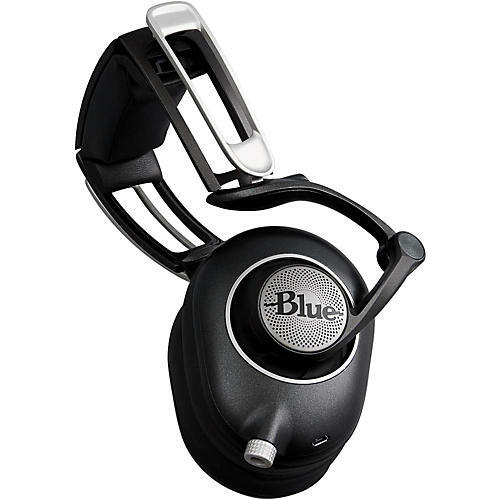 Blue headphones are the first to have an audiophile amp built right in. And the amp pairs beautifully with Sadie’s fiber-reinforced 50mm drivers to deliver crystal-clear audio and an even more refined soundstage. The “ON” mode of the amp is clean and adds no color to the sound, and the increased power and headroom allow you to hear more detail in the music. In “ON+” mode there is a slight increase at 63Hz, which Blue found to be just right for restoring the low-end character of music mastered in the era of vinyl. You can even listen with the amp off if you’re connected to an external amp for total flexibility. Ordinary headphones have the same old “spring loaded” headband that you’ve seen many times. Sadie’s unique multi-jointed headband was inspired by the finely tuned suspension of Formula One racecars. It’s a level of fit and comfort that isn’t even possible with other headphones. This innovative design creates a perfect seal around your ear, resulting in powerful bass response, improved isolation and reduced sound bleed. Featuring a new premium look and streamlined headband, Sadie delivers a new level of personalized fit, comfort and performance. With a smart design that saves big on battery life, Sadie is always ready for action. When you take off Sadie, it automatically powers down to save juice. The battery charges completely in 3-4 hours, and delivers approximately 12 hours of life-changing playtime. But even if the battery runs down, Sadie will still keep the music going. You could say these headphones have staying power.